‘At Eternity’s Gate,” starring Willem Dafoe as Vincent Van Gogh, begins playing at SIFF Cinema Uptown on Friday, Dec. 7. Many have struggled to get inside Vincent Van Gogh’s mind. The painter — who famously suffered from mental health problems, never sold a painting during his life, and has become one of the most influential artists of all time — is something of an enigma. A short artistic period that involved even more curious events than those surrounding his untimely death. 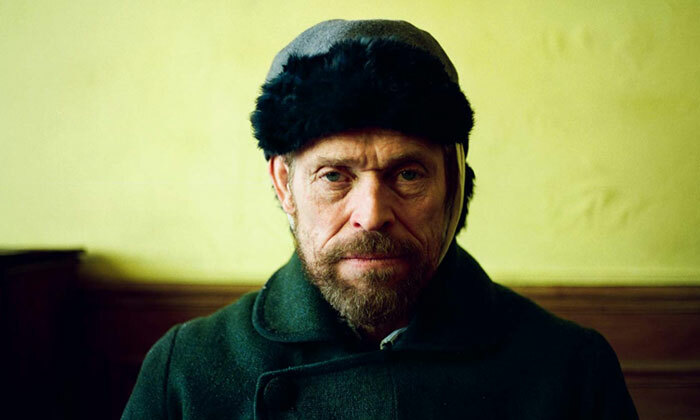 Julian Schnabel’s “At Eternity’s Gate” starts with a relatively straightforward idea of his character: “I want to be one of them,” Van Gogh says in a voiceover at the beginning. That philosophy extends to nearly everywhere Van Gogh goes; for the artists collective he sits near but does not participate in, or the townspeople who ostracize him for his peculiar takes on the nature that surrounds them. It’s from this place, this tortured sincerity that drives Willem Dafoe’s Van Gogh in “At Eternity’s Gate.” That portrayal colors the entire world of the film, both literally — sometimes we see the world tinged with yellow, as if emulating his “yellow bias” in his paintings — and metaphorically. When Van Gogh is upset, audio loops back, creating a sort of round effect with different enunciation and delivery, as if to highlight the disconnect between reality and the memories forming in his mind. These are the effects that make “At Eternity’s Gate” so beguiling, even when it can sometimes lean toward trite (Oscar Isaac is never a bad person to see in a film, but his dialogue as Paul Gauguin is the most platitudinous in the film). What starts in the film one way is twisted and brought back around in another. Sure, the portrayal of Van Gogh skews pretentious when he says he feels “as if he paints for a future generation.” But the truth is, in “At Eternity’s Gate,” numerous people ask Van Gogh why he paints, and they all get a different answer. Schnabel’s direction roots itself in the winding techniques of the French New Wave, jumping around in a way that is both linear and off-kilter. His energy is matched by Dafoe, who, though more than 25 years older than Van Gogh ever was, uses every crease of his face and light in his eyes to reimagine the painter as almost a biblical figure. Together, their film is more interested in the craft behind the man, rather than merely the man behind the painter. Though set in a French countryside that’s almost a dreamscape in mood, Schnabel takes multiple opportunities to show Van Gogh working for his art: struggling to climb with his tools on his back, lost in the natural landscape, pushing his torn-up boots just right so that he can capture them. That painting, done messily and “in one clear gesture,” a philosophy the film returns to, will ultimately become “A Pair of Shoes.” But Schnabel won’t let us see the final work of art being created in one fell swoop. Whether it’s shoes or Van Gogh’s doctor, we see works in progress, and a man toiling away at a craft which rewards him in no way (as those around him often remind him). Whether or not it’s the best portrait of Van Gogh, it’s certainly an honest one.